Hewlett Packard - Q1518-69201 HP/COMPAQ - 200/400GB ULTRIUM LTO 2 460 SCSI/LVD INTERNAL FH TAPE DRIVE (Q1518-69201. IN STOCK. SAME DAY SHIPPING. Hewlett Packard - C7379A HP/COMPAQ - LTO2 200/400GB WIDE ULTRA SCSI-3 ULTRIUM 460 LVD INTERNAL TAPE DRIVE (C7379A). IN STOCK. SAME DAY SHIPPING. Hewlett Packard - Q1518A HP/COMPAQ - STORAGEWORKS ULTRIUM 460 LTO 2 200/400GB SCSI INTERNAL SINGLE / ENDED LOW VOLTAGE DIFFERENTIAL TAPE DRIVE (Q1518A). IN STOCK. SAME DAY SHIPPING. Hewlett Packard - 311663-001 HP/COMPAQ - 200/400GB LTO 2 ULTRIUM 460 SCSI LVD INTERNAL TAPE DRIVE (311663-001). IN STOCK. SAME DAY SHIPPING. Hewlett Packard - C7379-04000 HP/COMPAQ - STORAGEWORKS ULTRIUM 460 200/400GB LTO2 INT TAPE DRIVE (C7379-04000). IN STOCK. SAME DAY SHIPPING. 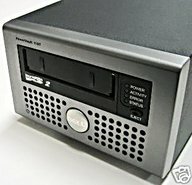 Hewlett Packard - Q1570-60001 HP/COMPAQ - 200/400GB STORAGEWORKS LTO-2 ULTRIUM 460 SCSI/LVD INTERNAL FH TAPE DRIVE (Q1570-60001). IN STOCK. SAME DAY SHIPPING. Hewlett Packard - Q1519-60001 HP/COMPAQ - 200/400GB LTO-2 ULTRIUM SCSI LVD EXTERNAL TAPE DRIVE (Q1519-60001). IN STOCK. SAME DAY SHIPPING. 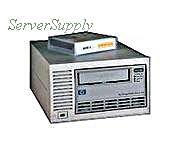 Dell - Y5091 DELL - 200/400GB ULTRIUM LTO-2 SCSI/LVD INTERNAL FH TAPE DRIVE (Y5091). IN STOCK. SHIP SAME DAY. 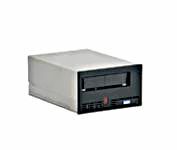 IBM - 18P9846 IBM - 200/400GB LTO-2 SCSI/LVD INTERNAL TAPE DRIVE (18P9846). IN STOCK. SHIP SAME DAY. Hewlett Packard - Q1518B HP/COMPAQ - 200/400GB LTO2 INTERNAL SCSI/LVD TAPE DRIVE (Q1518B). IN STOCK. SAME DAY SHIPPING. 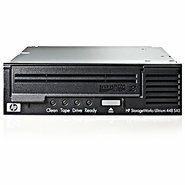 Hewlett Packard - C7379-60040 HP/COMPAQ - 200/400GB ULTRIUM LTO-2 SCSI LVD INTERNAL FH TAPE DRIVE(C7379-60040).IN STOCK. SAME DAY SHIPPING. IBM - 19P6131 IBM - LTO-2 ULTRIUM 200/400GB INTERNAL FIBER CHANNEL TAPE DRIVE LOADER (19P6131). IN STOCK. SHIP SAME DAY. Hewlett Packard - 192103-001 HP/COMPAQ - 200/400GB INTERNAL LTO2 68 PIN SE/LVD TAPE DRIVE (192103-001). IN STOCK. SAME DAY SHIPPING. Hewlett Packard - Q1518-67201 HP/COMPAQ - 200/400GB STORAGEWORKS LTO-2 ULTRIUM 460 SCSI/LVD INTERNAL FH TAPE DRIVE (Q1518-67201). IN STOCK. SAME DAY SHIPPING. Hewlett Packard - Q1520A HP/COMPAQ - STORAGEWORKS ULTRIUM 460 - 200/400GB LTO EXTERNAL LOW VOLTAGE DIFFERENTIAL TAPE DRIVE (Q1520A). IN STOCK. SAME DAY SHIPPING. Hewlett Packard - Q1519A HP/COMPAQ - 200/400GB LTO ULTRIUM 460 SCSI LVD EXTERNAL TAPE DRIVE (Q1519A). IN STOCK. SHIP SAME DAY. IBM - 71P9141 IBM - 200/400GB LTO-2 SCSI/LVD INTERNAL FH TAPE DRIVE (71P9141). IN STOCK. SHIP SAME DAY. Hewlett Packard - Q1518-60001 HP/COMPAQ - 200/400GB STORAGEWORKS LTO-2 ULTRIUM 460 SCSI/LVD INTERNAL FH TAPE DRIVE (Q1518-60001). IN STOCK. SAME DAY SHIPPING. 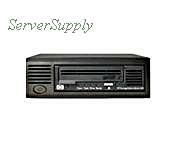 Dell - JH716 DELL - 200/400GB LTO-2 SCSI/LVD PVT110T INTERNAL HH TAPE DRIVE (JH716). IN STOCK. SHIP SAME DAY. IBM - 24R1040 IBM - 200/400GB LTO-2 SCSI/LVD INTERNAL TAPE LIBRARY LOADER DRIVE (24R1040). IN STOCK. SHIP SAME DAY. Hewlett Packard - 311664-001 HP/COMPAQ - LTO ULTRIUM 460 200/400GB SCSI LOW VOLTAGE DIFFERENTIAL EXTERNAL TAPE DRIVE (311664-001). IN STOCK. SAME DAY SHIPPING. Hewlett Packard - DW016A HP/COMPAQ - ULTRIUM 448 LTO2 200/400GB INTERNAL U160 SCSI TAPE DRIVE (DW016A). IN STOCK. SAME DAY SHIPPING. Hewlett Packard - 378467-001 HP/COMPAQ - ULTRIUM 448 ULTRA 160 SCSI LVD LTO2 200/400GB INTERNAL TAPE DRIVE (378467-001). IN STOCK. SHIP SAME DAY. 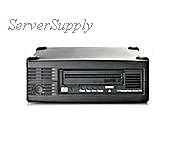 Dell - W5677 DELL - 200/400GB LTO-2 SCSI/LVD EXTERNAL TAPE DRIVE (W5677). IN STOCK. SHIP SAME DAY. Hewlett Packard - DW016-69201 HP/COMPAQ - 200/400GB ULTRIUM 448 SCSI LTO-2 INTERNAL HH TAPE DRIVE (DW016-69201). IN STOCK. SAME DAY SHIPPING. Hewlett Packard - DW016-60005 HP/COMPAQ - ULTRIUM 448 LTO2 200/400GB INTERNAL SCSI TAPE DRIVE (DW016-60005). IN STOCK. SAME DAY SHIPPING. Hewlett Packard - C7379-00861 HP/COMPAQ - LTO2 200/400GB ULTRIUM 460 LOADER TAPE DRIVE (C7379-00861). IN STOCK. SAME DAY SHIPPING. 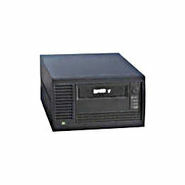 Hewlett Packard - Q1520-60001 HP/COMPAQ - 200/400GB ULTRIUM LTO 2 460 EXTERNAL TAPE DRIVE (Q1520-60001). IN STOCK. SAME DAY SHIPPING. Hewlett Packard - DW085A HP/COMPAQ - 200/400GB STORAGEWORKS LTO 2 ULTRIUM 448 TAPE DRIVE (DW085A). IN STOCK. SAME DAY SHIPPING. Hewlett Packard - Q1509-69201 HP/COMPAQ - 200/400GB STORAGEWORKS LTO-2 ULTRIUM 460 SCSI/LVD EXTERNAL TAPE DRIVE (Q1509-69201). IN STOCK. SAME DAY SHIPPING. 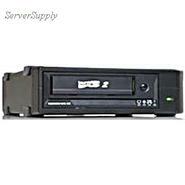 Dell - G8264 DELL - 200/400GB LTO ULTRIUM-2 SCSI LVD INTERNAL FH TAPE DRIVE (G8264). IN STOCK. SHIP SAME DAY. 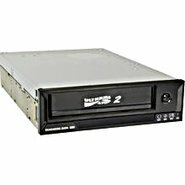 Hewlett Packard - Q1509A HP/COMPAQ - STORAGEWORKS 200/400GB LTO ULTRIUM 460E EXTERNAL SCSI TAPE BACKUP (Q1509A). IN STOCK. SAME DAY SHIPPING. IBM - 59P6744 IBM - 200/400GB LTO-2 SCSI/LVD INTERNAL FH TAPE DRIVE (59P6744). IN STOCK. SHIP SAME DAY. 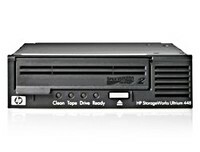 Hewlett Packard - Q1509-60005 HP/COMPAQ - 200/400GB STORAGEWORKS LTO-2 ULTRIUM 460 SCSI/LVD EXTERNAL TAPE DRIVE (Q1509-60005). IN STOCK. SAME DAY SHIPPING. 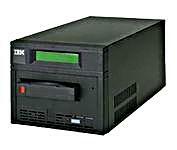 IBM - 18P9234 IBM - 200/400GB LTO-2 SCSI/LVD INTERNAL BARE DRIVE ONLY (18P9234). IN STOCK. SHIP SAME DAY. Hewlett Packard - DW017-69202 HP/COMPAQ - 200/400GB LTO2 ULTRIUM 448 EXT TAPE DRIVE (DW017-69202). IN STOCK. SAME DAY SHIPPING. IBM - 3584-1479 IBM - 200/400GB LTO2 ULTRIUM FIBRE CHANNEL TAPE DRIVE (3584-1479). IN STOCK. SHIP SAME DAY. Hewlett Packard - 331440-001 HP/COMPAQ - ESL9000 LTO2 200/400 GB ULTRIUM HOT PLUG LOW VOLTAGE DIFFERENTIAL LIBRARY DRIVE (331440-001). IN STOCK. SAME DAY SHIPPING. Hewlett Packard - Q1519-69201 HP/COMPAQ - 200/400GB LTO2 ULTRIUM 460 EXT TAPE DRIVE (Q1519-69201). IN STOCK. SAME DAY SHIPPING. IBM - 96P1774 IBM - 200/400GB LTO-2 ULTRIUM SCSI/LVD HH INTERNAL TAPE DRIVE (96P1774). IN STOCK. SAME DAY SHIP. Hewlett Packard - Q1512A HP/COMPAQ - 200/400GB INTERNAL LTO2 68 PIN SE/LVD TAPE DRIVE (Q1512A). IN STOCK. SAME DAY SHIPPING. IBM - 24R0305 IBM - 200/400GB LTO-2 ULTRIUM SCSI/LVD HH INTERNAL TAPE DRIVE (24R0305). IN STOCK. SHIP SAME DAY. IBM - 25R0005 IBM - 200/400GB LTO-2 ULTRIUM SCSI/LVD HH INTERNAL TAPE DRIVE (25R0005). IN STOCK. SHIP SAME DAY. 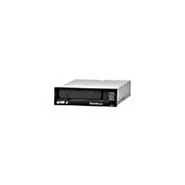 Quantum - CL1001-SB QUANTUM - 200/400GB LTO-2 ULTRA-160 SCSI/LVD INTERNAL HH BARE TAPE DRIVE (CL1001-SB). IN STOCK. SHIP SAME DAY. Hewlett Packard - 378468-001 HP/COMPAQ - 200/400GB ULTRIUM 448 EXTERNAL LTO2 TAPE DRIVE (378468-001). IN STOCK. SHIP SAME DAY. 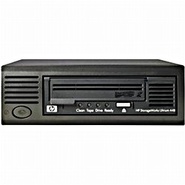 Hewlett Packard - DW017B HP/COMPAQ - 200/400GB LTO2 ULTRIUM 448 EXTERNAL TAPE DRIVE (DW017B). FACTORY SEALED RETAIL. IN STOCK. SHIP SAME DAY. Hewlett Packard - 378468-002 HP/COMPAQ - 200/400 GB LTO ULTRIUM 448 EXT TAPE DRIVE (378468-002). NEW FARTORY SEALED. IN STOCK. SAME DAY SHIPPING. 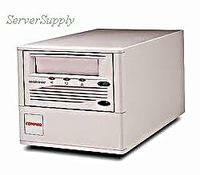 Exabyte - 1004-01 EXABYTE/TANDBERG - 200/400GB LTO-2 ULTRIUM ULTRA 160 SCSI/LVD INTERNAL HH TAPE DRIVE (1004-01). IN STOCK. SHIP SAME DAY. Hewlett Packard - 330729-B21 HP/COMPAQ - 200/400GB STORAGEWORKS LTO-2 ULTRIUM 6000 LIBRARY READY 460GB DRIVE FOR MSL SERIES (330729-B21). IN STOCK. SAME DAY SHIPPING. Hewlett Packard - DW016-67201 HP/COMPAQ - 200/400GB LTO2 ULTRIUM 448 LVD HH INT TAPE DRIVE (DW016-67201). IN STOCK. SAME DAY SHIPPING. 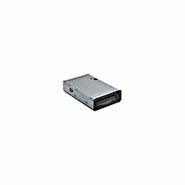 Hewlett Packard - DW017-67201 HP/COMPAQ - 200/400GB LTO2 ULTRIUM 448 SCSI LVD EXTERNAL TAPE DRIVE (DW017-67201). IN STOCK. SAME DAY SHIPPING. 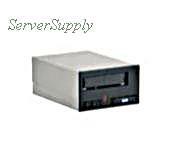 Exabyte - 3505-LTO EXABYTE/TANDBERG - 200/400GB 3505-LTO LTO ULTIRUM-2 ULTRA 160 SCSI/LVD INTERNAL HH TAPE DRIVE (3505-LTO). IN STOCK. SHIP SAME DAY. Hewlett Packard - 330834-B21 HP/COMPAQ - 200/400 GB ESL9000 LTO-2 ULTRIUM 460 TAPE DRIVE WITH HOT SWAP SLED 330 (330834-B21). IN STOCK. SAME DAY SHIPPING. Hewlett Packard Networking-service - Q1512C HP/COMPAQ - 200/400GB ULTRIUM LTO2 460M MOD TAPE ARRAY 5300 TAPE DRIVE (Q1512C). IN STOCK. SAME DAY SHIPPING. Hewlett Packard - 440947-B21 HP/COMPAQ - 200/400GB STORAGEWORKS SB920C LTO2 ULTRIUM 488C TAPE BLADE (440947-B21). IN STOCK. SAME DAY SHIPPING. Hewlett Packard - DW086A HP/COMPAQ - 200/400GB LTO448 ULTRIUM 2 SAS EXT RACK-MOUNT TAPE DRIVE (DW086A). IN STOCK. SAME DAY SHIPPING. Hewlett Packard - DW019A HP/COMPAQ - 200/400GB ULTRIUM 448 LTO2 STORAGEWORKS ARRAY MODULE 5300 TAPE DRIVE (DW019A). IN STOCK. SAME DAY SHIPPING. 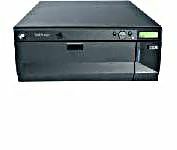 Hewlett Packard - DW028B HP/COMPAQ - 200/400GB 2BAY 1DR LTO2 448 1U EXTERNAL RM ENCL TAPE DRIVE (DW028B). IN STOCK. SAME DAY SHIPPING. 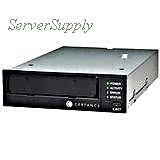 Quantum - CL1001-R QUANTUM - 200/400GB LTO ULTRIUM-2 SCSI-LVD/SE INTERNAL HH TAPE DRIVE (CL1001-R). NEW RETAIL WITH 3 YEARS MFG WARRANTY. IN STOCK. SHIP SAME DAY. IBM - 3582-8105 IBM - 200/400GB LTO ULTRIUM-2 FC LOADER READY FH TAPE DRIVE (3582-8105). IN STOCK. SHIP SAME DAY. Hewlett Packard - DW028A HP/COMPAQ - 200/400GB STORAGEWORKS LTO2 ULTRIUM 448 RM TAPE DRIVE (DW028A). IN STOCK. SAME DAY SHIPPING. 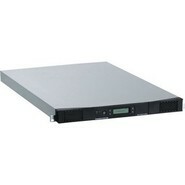 Hewlett Packard - DW016A StorageWorks Internal Half-Height Ultrium 448 Ultrium-2 200 400GB LTO2 LTO-2 LVD SCSI Tape Drive. Reconditioned Six Month Warranty. 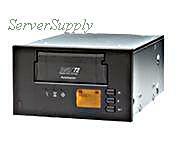 Tandberg - 3506-LTO EXABYTE /TANDBERG - 200/400GB NEW WITH 3YRS MANUFACTURER WARRANTY LTO2 ULTRIUM SCSI LVD HH INTERNAL TAPE DRIVE (3506-LTO). IN STOCK. SHIP SAME DAY. Hewlett Packard - C7379-00862 HP/COMPAQ - 200/400GB LTO ULTRIUM-2 SCSI LVD LOADER READY FH TAPE DRIVE (C7379-00862). IN STOCK. SAME DAY SHIPPING. IBM - 3583-8105 IBM - 200/400GB LTO ULTRIUM-2 FIBRE CHANNEL LOADER READY TAPE DRIVE (3583-8105). IN STOCK. SAME DAY SHIPPING. IBM - 39M5658 IBM - LTO GENERATION-2 200/400GB SCSI/LVD INTERNAL HH TAPE DRIVE (39M5658). IN STOCK. SAME DAY SHIPPING. 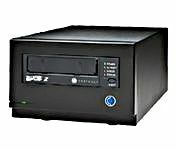 Quantum - CL1001-SST QUANTUM - LTO-2 HALF HEIGHT 200/400GB INTERNAL DRIVE ULTRA 160 SCSI BLACK TAPE DRIVE (CL1001-SST). NEW RETAIL WITH 3 YEARS MFG WARRANTY. IN STOCK. SHIP SAME DAY. 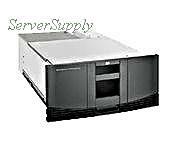 Hewlett Packard - 412501-001 HP/COMPAQ - 200/400GB LTO-2 ULTRIUM 460 LOADER READY(412501-001). IN STOCK. SAME DAY SHIPPING. 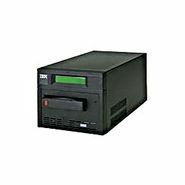 IBM - 18P7270 IBM - 200/400GB LTO ULTRIUM-2 SCSI LVD EXTERNAL TAPE DRIVE (18P7270). IN STOCK. SHIP SAME DAY. Hewlett Packard - AG712A HP/COMPAQ - 200/400GB ULTRIUM 448 LTO2 SCSI INTERNAL TAPE DRIVE (AG712A). NEW. IN STOCK. SAME DAY SHIPPING. 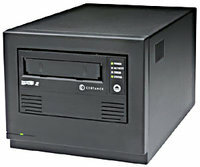 Quantum - CL1002-SST QUANTUM - LTO-2 200/400GB HALF-HEIGHT TAPE DRIVE EXTERNAL LTO ULTRIUM (CL1002-SST). NEW RETAIL WITH 3 YEARS MFG WARRANTY. IN STOCK. SHIP SAME DAY. IBM - 3580-L23 IBM - 200/400GB LTO ULTRIUM-2 SCSI LVD EXTERNAL TAPE DRIVE (3580-L23). IN STOCK. SAME DAY SHIPPING. 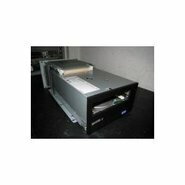 Hewlett Packard - C7379-20830 HP/COMPAQ - 200/400GB LTO 2 SCSI LVD LOADER WITH TRAY (C7379-20830). IN STOCK. SAME DAY SHIPPING. Hewlett Packard - 378469-001 HP/COMPAQ - 200/400GB ULTRIUM 448 LTO2 STORAGEWORKS ARRAY MODULE 5300 TAPE DRIVE (378469-001). IN STOCK. SAME DAY SHIPPING. 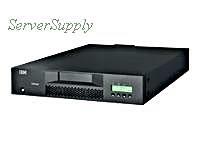 Dell - 02U353 DELL 1.6/3.2 TB (DRIVER: 200/400GB) PV122T LTO-2 DESKTOP SCSI LVD AUTOLOADER (02U353). IN STOCK. SAME DAY SHIPPING. 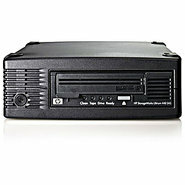 Hewlett Packard - AG736A HP/COMPAQ - 200/400GB ULTRIUM 448 LTO 2 SAS EXTERNAL TAPE DRIVE (AG736A). NEW. IN STOCK. SAME DAY SHIPPING. 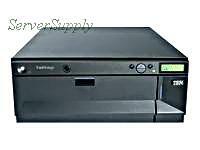 Hewlett Packard - 390834-001 HP/COMPAQ - 200/400GB ULTRIUM 460 LTO-2 LOADER READY TAPE LIBRARY DRIVE(390834-001). IN STOCK. SAME DAY SHIPPING. 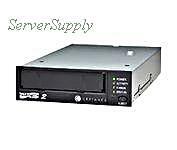 Quantum - CL1003-SST QUANTUM - LTO-2 200/400GB LTO ULTRIUM HALF-HEIGHT ULTRIUM 2 SCSI RACK MOUNTABLE TAPE DRIVE (CL1003-SST). NEW RETAIL WITH 3 YEARS MFG WARRANTY. IN STOCK. SHIP SAME DAY. Hewlett Packard - AG739A HP/COMPAQ - 200/400GB ULTRIUM 448 LTO 2 SAS RM/HBA/CBL BUNDLE EXTERNAL TAPE DRIVE (AG739A). NEW. IN STOCK. SAME DAY SHIPPING. IBM - 3580-H23 IBM - 200/400GB LTO ULTRIUM-2 SCSI/HVD EXTERNAL TAPE DRIVE (3580-H23). IN STOCK. SAME DAY SHIPPING. 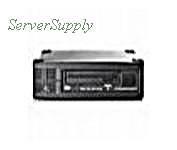 Sun - SG-XTAPLTO2S-DRV SUN - 200/400GB LTO-2 SCSI LVD LOADER MODULE L180/L700 TAPE DRIVE (SG-XTAPLTO2S-DRV). IN STOCK. SHIP SAME DAY. Sun - SG-XTAPLTO2LVD-MOD SUN - 200/400GB LTO 2 LVD MODULE FOR L25/L100 (SG-XTAPLTO2LVD-MOD). IN STOCK. SHIP SAME DAY. 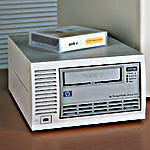 Hewlett Packard - DW017B#ABA HP/COMPAQ - 200/400GB LTO2 ULTRIUM 448 EXTERNAL TAPE DRIVE (DW017B). NEW WITH 3 YR LIMITED WARRANTY. IN STOCK. SAME DAY SHIPPING. 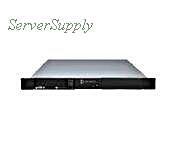 Sun - SG-XTAPLTO2FC-DRV SUN - 200/400GB LTO-2 FC LOADER READY MODULE FH L180/L700 TAPE DRIVE (SG-XTAPLTO2FC-DRV). IN STOCK. SHIP SAME DAY. IBM - 3581-H23 IBM - 200/400GB LTO ULTRIUM-2 SCSI/HVD TAPE AUTOLOADER (3581-H23). IN STOCK. SHIP SAME DAY. 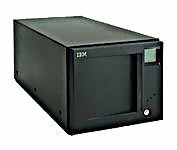 IBM - 3581-F38 IBM - LTO3 3.2/6.4TB 8 SLOTS LTO2 ULTRIUM (400GB/800GB) SCSI LVD EXT 2U TAPE AUTOLOADER (3581-F38). IN STOCK. SHIP SAME DAY. IBM - 3581-F28 IBM - 200/400GB LTO ULTRIUM-2 FC EXTERNAL AUTOLOADER (3581-F28). IN STOCK. SHIP SAME DAY. 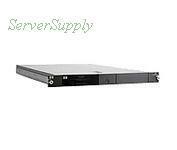 Hewlett Packard - 330731-B23 HP/COMPAQ - 200/400GB STORAGEWORKS MSL6030 ULTRIUM 460 LTO 2 DRIVES EXTERNAL SCSI RACKMOUNT LVD/SE LIBRARY (330731-B23). IN STOCK. SAME DAY SHIPPING. IBM - 3582-L23 IBM - LTO ULTRIUM 2 200/400GB SCSI/LVD EXTERNAL TAPE LIBRARY (3582-L23). IN STOCK. SHIP SAME DAY. Hewlett Packard - AD600A HP/COMPAQ - MSL6030 1-LTO-2 ULTRIUM 460 200/400 GB FIBRE CHANNEL RACKMOUNT TAPE LIBRARY (AD600A). IN STOCK. SAME DAY SHIPPING.